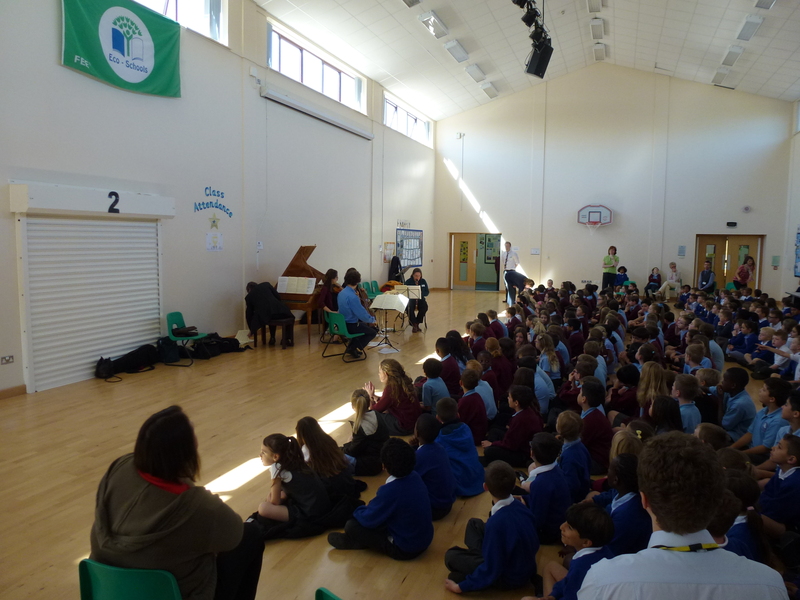 We just spent two wonderful days in Peterborough with the Music Education Hub, led by their inspirational manager, Geoff Ellerby. 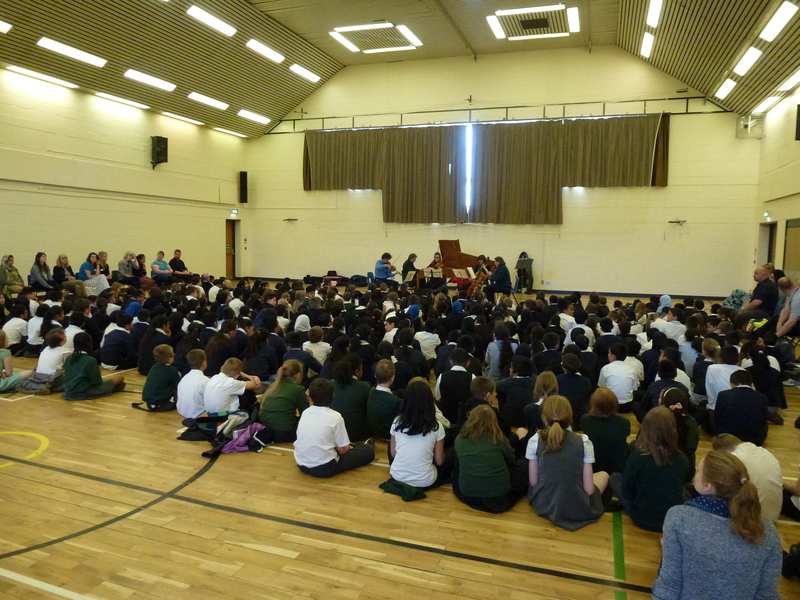 DeNOTE Education project, Peterborough: 48 hours; 8 schools; 1000+ pupils & teachers engaged; 18 fortepiano shifts (yes 18! ); 5 players; 1 composer. 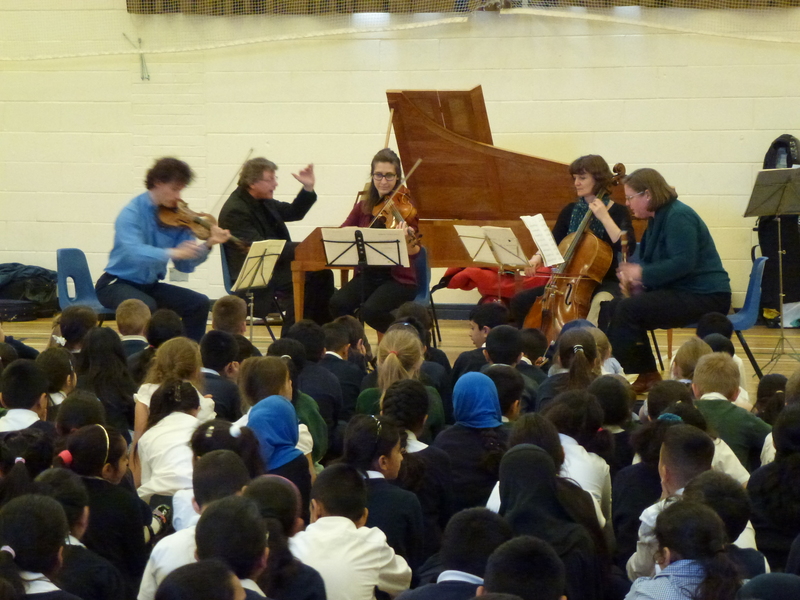 We visited 4 Primary Schools (with pupils from 3 other Primaries visiting on two occasions), and 2 secondaries – concentrating on Mozart Chamber Music. 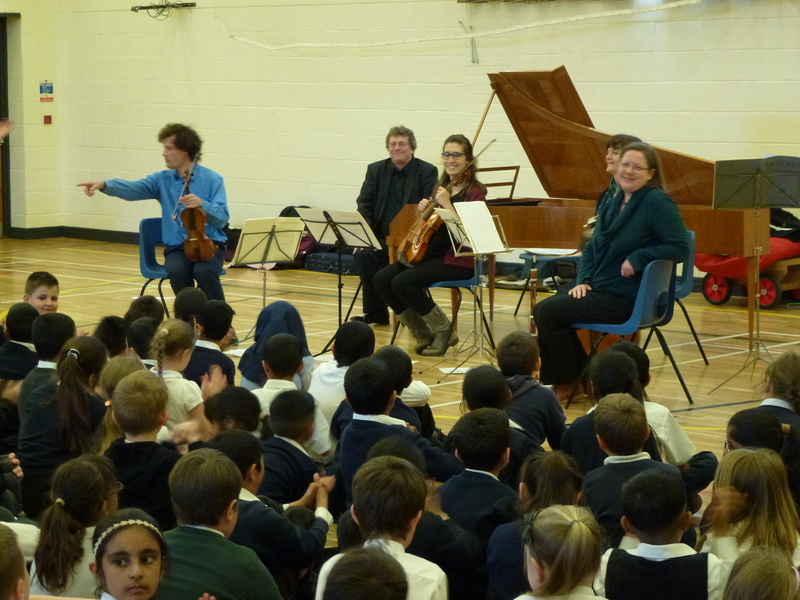 We greatly enjoyed these events, especially the opportunity to interact with young performers.